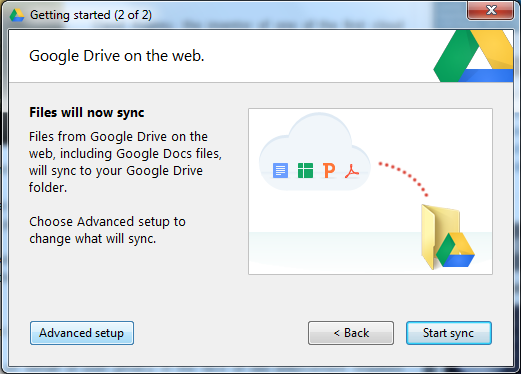 Google had started Google Drive like Drop Box and Sky Drive. Google drive is started from 24th April 2012. And now everyone can use Google Drive. The Installation process of Google Drive is not complicated its easy processor so that anyone can easily install Google drive to his/her computer. 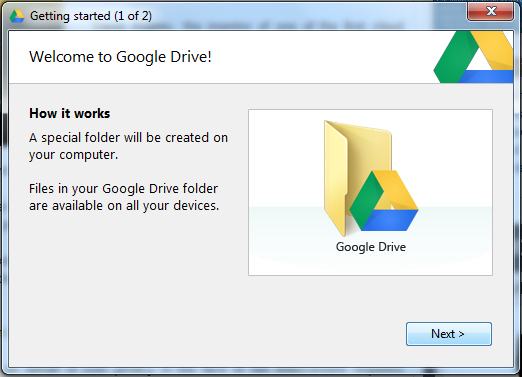 Google Drive Software is currently available for Windows Mac and Android devices. 2.If you are not sing in than click on sing in button and sing in with your account else click on go to Google Drive button. It will redirect you to Google Drive home page. Soon a Pop up will appear with button try Google Drive. Click on try button and get start. 3. Click on the button Install Google Drive on PC link. Note:= Google Drive will automatically show option accordingly for your OS whether it is Windows or MAC. So don’t take tension. 4. Click on Accept and Install button and save file. Run The Google Installer for Google Drive. It will take few minutes to install depend upon your Internet Speed. 5. Click on Next and then sync button to start your Google Drive. So by following these simple steps you can get and install Google Drive. What's up, all is going fine here and ofcourse every one is sharing facts, that's really excellent, keep up writing.